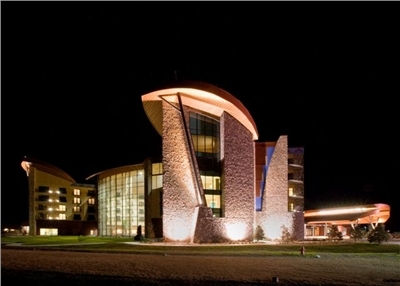 The Sky Ute Casino Resort, opening its doors in November of 2008, is located in the heart of the Southern Ute Indian Nation in Ignacio, CO. At the Sky Ute Casino Resort, you and your family can relax in beautiful surroundings with state of the art modern convenience! Beautifully appointed rooms, convenient Free shuttle service, a huge indoor pool, playgrounds, bowling and more make the Sky Ute the perfect hub for your families Four Corners adventure. Now your family can take in the ambiance of the Southwest with a Las Vegas style casino only steps away from your hotel room with 24-hour front desk service, 24-hour security, 24-hour food service and, best of all, 24-hour gaming! 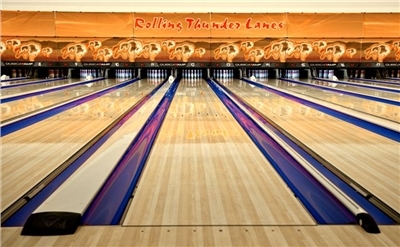 With a Southwest motif blended with the cultural attributes of the Southern Ute Indian Tribe, the casino offers both adult and family-friendly ambiance including the brand new twenty-four lane Bowling Center, an action-packed arcade and 18-hole miniature golf course; a perfect place to build family memories to last a lifetime! In addition, the entire property has Wi-Fi high-speed internet access and boasts a full fitness center, massage services, a beauty salon, and of course, guests can try their luck on our beautifully appointed gaming floor. Las Vegas Style in Beautiful Southwest Colorado! The Sky Ute Casino Resort offers great comfort and modern amenities in all 140 finely appointed rooms both deluxe rooms and suites. With King, 2 Queen and Suite bedding arrangements, there is something for every family and every budget. Additionally, to make your stay as enjoyable as possible, each room and suite includes a refrigerator, coffee maker, microwave, 32â€ LCD television, and voice over IP telephones. 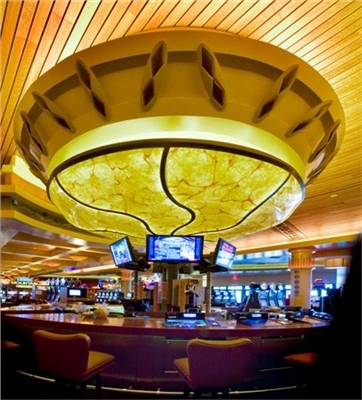 The Casino offers 550+ slot machines, live poker in a private poker room, blackjack, and bingo. In addition, brand new in 2009, the casino will offer extended betting limits, craps and roulette for a one-of-a-kind experience for the gaming enthusiast. Sky Ute Casino offers free, scheduled shuttle service to the Durango, Farmington and Pagosa Springs areas. Visitors to Southwest, Colorado and the Four Corners region can experience the historic Durango & Silverton Narrow Gauge Railroad, Mesa Verde National Park, Durango Mountain Resort and countless other recreational actives in the majestic San Juan Mountains (rafting, hiking, 4-wheeling, camping, etc.). To arrange service and for times and availability, please call 970.563.3000 or 1.888.842.4180 and receive a shuttle schedule. The resort offers over 18,000 square feet in conference space and banquet facilities, including state-of-the-art audio and visual services and a business center. From a small meeting room to a large conference or event, the Sky Ute is perfect for weddings, meeting space, conferences, and trade show and, with five restaurants on-site, Sky Ute Casino Resort can host and accommodate any event! For event and conference needs, please contact a Groups Coordinator, Bruce Moss, at extension 303. 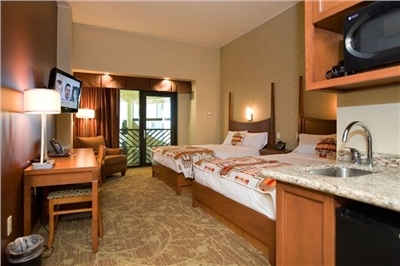 Non Smoking Room with 2 Queen Beds, Mountain View or Atrium View, Restaurant & Cafe, Coffee Bistro, Bowling, Indoor Pool, Fitness Room, 24 hr Gift Shop, 24 hr Casino Gaming, Free WI-FI. 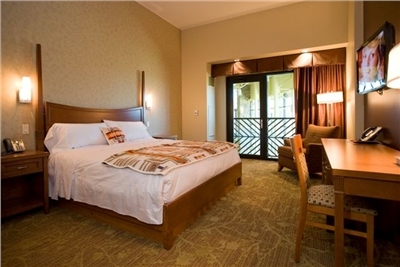 Smoking Room with 2 Queen Beds, Mountain View or Atrium View, Restaurant & Cafe, Coffee Bistro, Bowling, Indoor Pool, Fitness Room, 24 hr Gift Shop, 24 hr Casino Gaming, Free WI-FI. The comfort of the new Sky Ute Resort located in southwest Colorado will exceed your expectations in this well-appointed smoking king room. 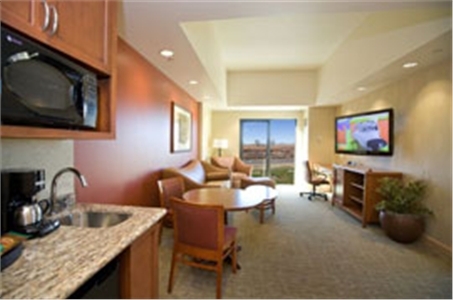 Enjoy your in-room 32" Flat Panel LCD television with free to guest TV or pay per movies. Whether you are visiting the area, enjoying the casino, or if you must work, do so at the large desk with complimentary high-speed internet access and a desktop outlet. You will enjoy our voice over IP telephones with features you have never experience at any other hotel. The bathroom has enough vanity space to spread out and make yourself at home. In addition to the separate bathtub and shower. This room also includes in-room coffee maker, microwave, and refrigerator. 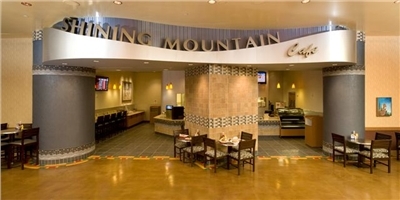 Non Smoking Room with 1 King bed, Mountain View or Atrium View, Restaurant & Cafe, Coffee Bistro, Bowling, Indoor Pool, Fitness Room, 24 hr Gift Shop, 24 hr Casino Gaming, Free WI-FI. 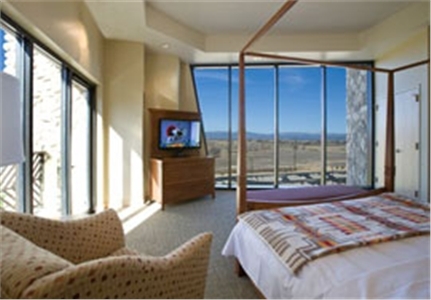 All Resort Suites at Sky Ute Resort offer the most state-of-the-art amenities available today! Full Hook Up RV site. 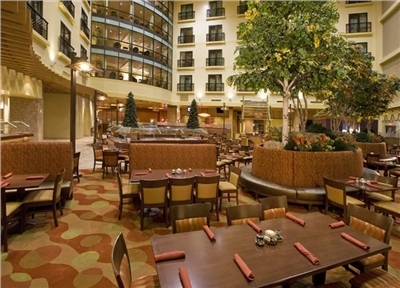 Full access to all of the Casino and Resort amenities included with your stay. Restaurant & Cafe, Coffee Bistro, Bowling, Indoor Pool, Fitness Room, Guest Laundry, 24 hr Gift Shop, 24 hr Casino Gaming, Free WI-FI. Deposit	| NO SHOWS WILL BE CHARGED 1 NIGHTS STAY WITHOUT 24 HOUR NOTICE. Pets	| Pets are allowed in certain rooms with a $50 pet fee per stay. Service animals are allowed without charge.